We know that each client is unique and so are his or her legal issues and concerns. That is why, from the moment a client comes to us, he or she has our full attention. We take the time to thoroughly discuss the matter, listen to the client’s specific concerns and questions, answer them promptly, and then give straightforward advice and devise a strategy that will best meet the client’s needs and achieve his or her goals. Our knowledge, experience and skill have earned us a national reputation as well as a local one for aggressively representing our clients and proactively pursuing their interests. Avvo rates us as 10.0 Superb and a Top Attorney in Family Law. 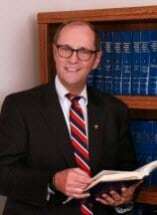 Our founding attorney also is honored to be BV Distinguished* peer-review rated through Martindale-Hubbell for ethical standards and legal ability. The Law Office of Thomas J. Donnelly accepts all major credit cards for our clients’ convenience. We also offer free initial consultations to potential criminal defense clients.